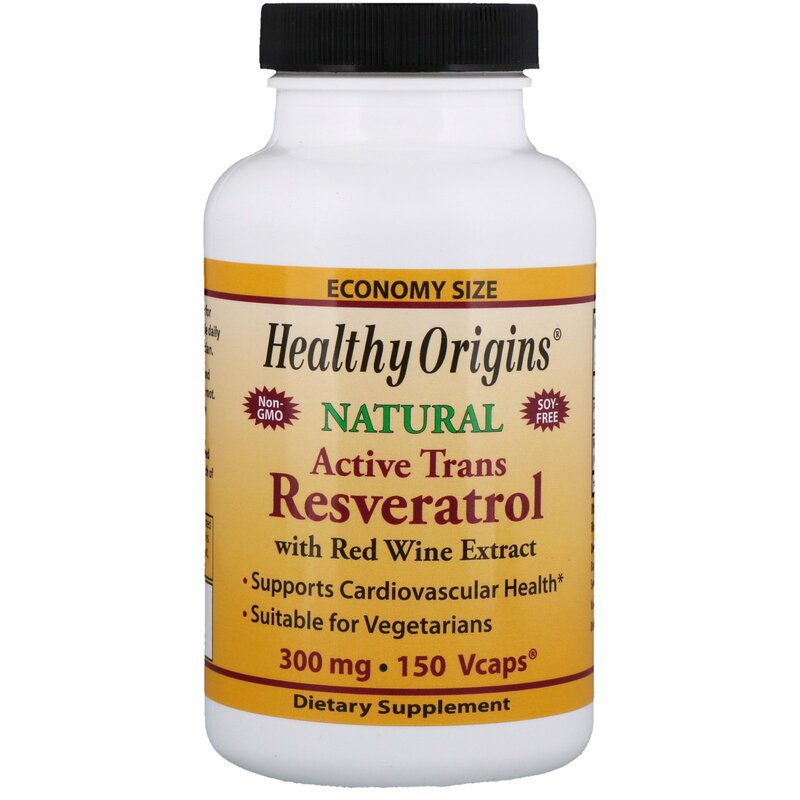 Resveratrol is a natural polyphenol found primarily in grape skins and knotweed root. Resveratrol may help support a healthy cardiovascular system. Healthy Origins Resveratrol is combined with Red Wine Extract for an extra punch of polyphenols. 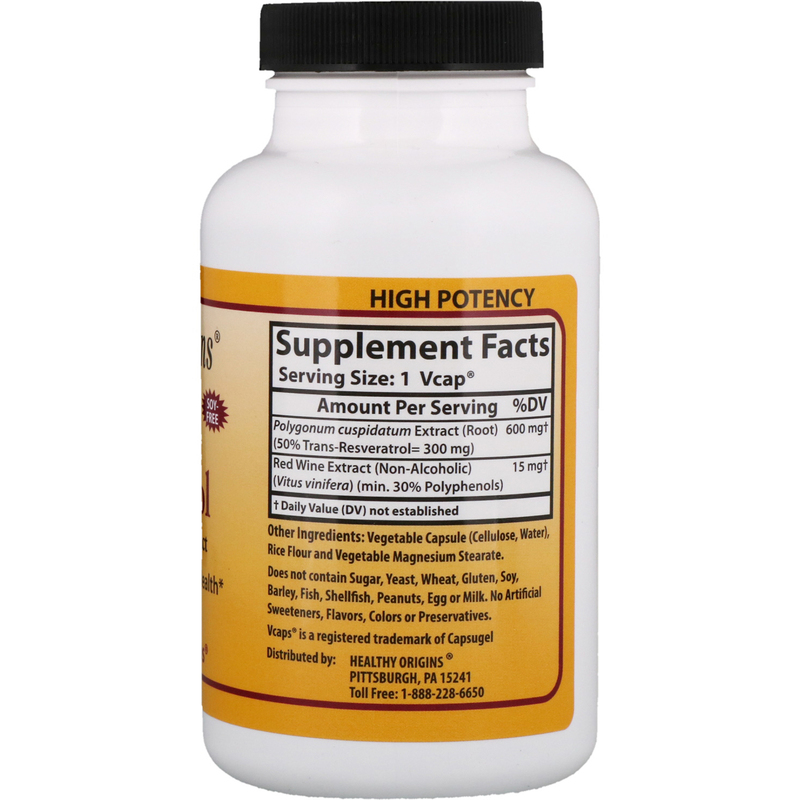 As a dietary supplement for adults; take one (1) vegetarian capsule daily with a meal, or as directed by a physician.